2018 marks our 12th year of Christmas Near The Beach – where South Florida families celebrate Christmas. 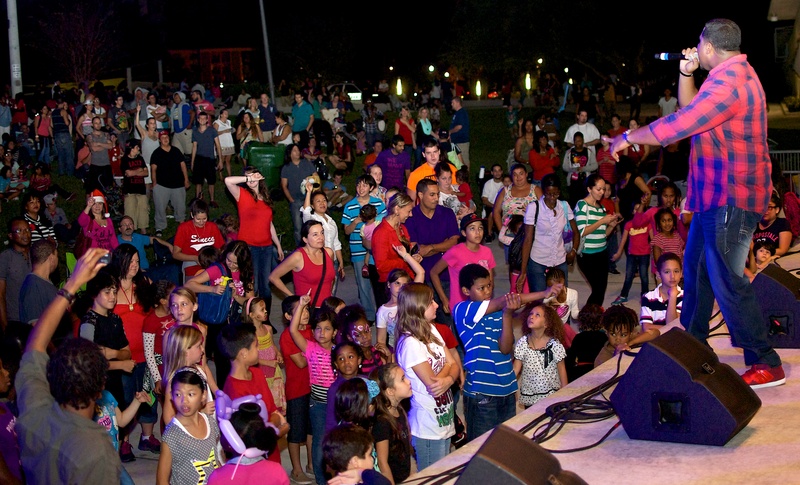 Thousands of visitors from across South Florida attended last year enjoying the party with the flare of beach life. St. Nick’s Beach House always brings joy where every family has a free photo with the jolly fellow. From bands to ballet to a rollerblading Grinchy, the Arts Park @ Young circle provides the perfect venue for families and vendors alike. Please join us in 2018 in the heart of Hollywood at Young Circle where this MUST SEE show brings the beauty of Christmas with a blaze of beach chic. What: The 12th Annual Christmas Near The Beach variety show is a FREE community event. Highlights include St. Nick arriving on a classic car and visits with the children at his “Beach House.” National local recording artists entertain the crowds as well as premier dance acts bring elegance to the stage. Our DJ keeps the party going throughout the event. Food courts serve great festival food and vendors bring that added touch of celebration atmosphere. Christmas Near the Beach provides national and local companies the opportunity to market their brand and products to over 7,000 festival attendees. The on-site activity and one on one contact with a family oriented demographic creates an extraordinary opportunity to shine at Christmas time in the South Florida market. Our targeted marketing campaign generates a buzz of Christmas cheer attracting a diverse audience. St. Nick’s “Beach House” is unique to Hollywood’s premier family friendly Christmas event. Free photos are always available on his sleigh or in his house. If you have any questions, contact deena@christmasnearthebeach.com. You can download the vendor application here for the pricing information. Sponsors receive better booth position as well as additional promotion. You can find the various sponsor packages on this page.